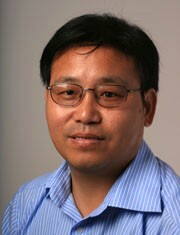 Associate Professor Zheng Guo is the daily manager of one of the world’s leading laboratories for research in lipids. Here researchers are busy designing new types of lipids with new functionalities. Chefs cannot do without them. Neither can the pharmaceutical, cosmetic and chemical industries. Lipids are an integrated part of our lives and researchers from Aarhus University are busy designing new types. Aarhus University has one of the world’s most recognised laboratories for research in lipids. In recent years, a range of multi-disciplinary research projects have arisen here, conjoining classical basic research in chemistry and biology on the one hand and modern process technology on the other. "Our research focuses on applications and always has a link to a company that will produce something for the market. We develop many new technologies that can be used in industrial processes and production." The central research areas comprise lipid processing technology, bioresource technology, microbial technology and enzyme technology. With a number of prestigious articles in international journals, the laboratory has generated a high level of global interest in just a few years. The perspectives for applications of the newest lipid technology are very good and address industrial challenges such as food safety, green energy, nutrition and disease prevention. One of the many projects they are working on is the development of a natural antioxidant that can prevent oxidation of fish oil in dietary supplements and thereby protect the content of Omega 3 in them. The researchers have identified different types of encapsulation material which can, via a special composition of antioxidants, neutralise free radicals and help the active substances from the oil pass through the cell membrane and into the bloodstream so that they are better absorbed in the body. The method is based on enzyme technology that optimises the physical and chemical properties of the antioxidants. Laboratory experiments have also shown that the antioxidants in the fish oil capsule have the positive effect of increasing shelf life and that the taste of fish is better disguised. Castor oil has proved to be an excellent means of softening plastic and can thus replace the phthalates that are suspected of causing hormone disruption in humans and animals. Soft-N-Safe, which is produced by DuPont Danisco, is now used instead of phthalates in both toys, medical equipment, cling film and much more. Unfortunately, it is also an expensive alternative as castor oil is extracted from the seeds of the castor oil plant (ricinus communis) which cannot be sufficiently cultured and supplied. Working with researchers from Aarhus University and others, the company has now developed a new and cost-effective plasticiser as an alternative to already known plasticisers. It is based on high oleic rapeseed oil and can be produced efficiently on a laboratory scale. It will, however, require some years of further development and testing before the substance will be suitable for production on an industrial scale. Lipids are a group of organic substances that are insoluble in water but soluble in a range of organic solvents and fats. With such a broad definition, it is hardly surprising that the group comprises many different compounds, including fatty acids, triglycerides, wax, phospholipids, ceramides, cholesterol and other steroids, fat-soluble vitamins and terpenes. These organic compounds can be divided into a multitude of sub-groups; fatty acids are further categorised as saturated, monounsaturated and polyunsaturated, as well as short chain and long chain fatty acids.